With the summer heat here the idea of crowding into a stuffy gym or going for a run in the park may not seem like a truly fun idea. When everyone else is playing in the pool, you could be getting in your workout. Ramp up your routine and use this water workout to add in a little diversity outside of the gym. Bonus, no sweaty workouts in the water. Water is always a part of your workout internally as hydration is important. What if I told you that water has benefits externally? 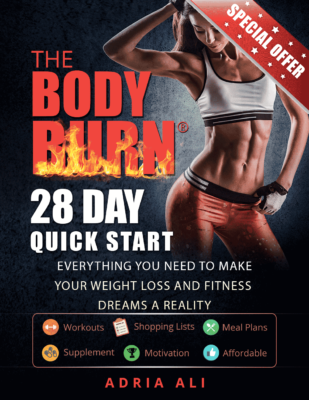 Resistance is key for maintaining and increasing muscle mass. When you lift weights in the gym the resistance comes from gravity, air and the weight of the dumbbell, or whatever piece of equipment you use. Water is denser than air, in fact water is 780 times heavier than air. This averages out to 12 times the resistance. The ironic part about the increased resistance is that buoyancy can in fact make yourself and objects feel lighter. While gravity pulls weight down in air, buoyancy in water lifts it up. The object or person will still weight the same, however the displacement makes it seem as though it weighs less. Ultimately, the greater resistance factor of water will place greater stress on your muscles, whereas the buoyancy factor will place less stress on joints as the displacement of the water is helping you do the work. This is very important to those with joint problems, injury, poor range of motion, or those overweight. Working out in water can make you feel 90 percent lighter than in air. For a perfect example get in a pool and see how many pull ups you can do hanging on the edge or from an elevated surface like the edge of a diving board. Now compare that to the number you can do on dry land. Summer heat can really hinder a person’s performance for a variety of reasons. This is another way a water workout can be beneficial. The body loses heat four times faster in water than in air. Think of it this way, why do people love to get in a pool, lake, or ocean on a hot summer day? We are going to aim for about a 30-60 minute workout. Do this on your rest days or on days you can’t make it to the gym. Additionally, this is a great option at a summer event that will be predicated with burgers, chips, and the like. Do this water workout before you get your plate and let some of that calorie bomb go towards recovery. Get in a pool that comes between shin and waist level. Go through a range of motion for your lower body. Do exercises like jogging in place, squats, and lunges. Now get on your knees in the shallow part of the pool so the water is to shoulder level. Arm Circles – Bring each arm around 360 degrees with the motion both in and out of the water. Be careful not to slap the surface of the water on the downward motion. Go through your range of motion exercises 15 times each then move on. Now, you want to get your heart rate up. 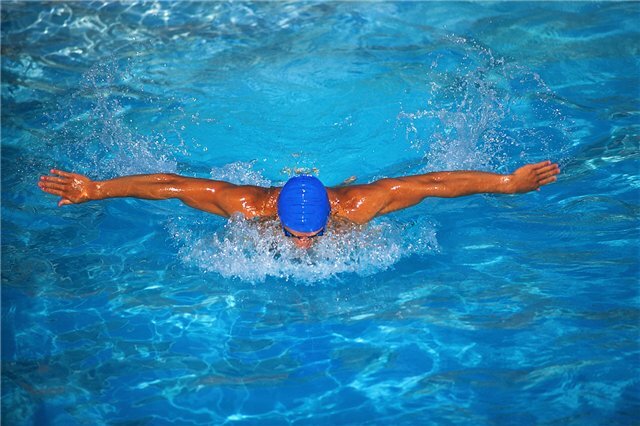 If you are a decent swimmer do five laps each way in the pool for a total of ten back and forth. After the tenth lap rest one minute then do another ten. The goal is to get to 100 laps total. Let’s do some water workout 12 times resistance exercises! Perform these as a circuit with a minute rest in-between. Do five circuits and increase one circuit each time. If you can’t do these as a circuit then do them as sets. Aim for 3-4 sets of each exercise with 30-60 seconds rest between. Note: Exercises can be done with or without water dumbbells. For more intensity, dumbbells add more resistance. Water Pull Ups – Standing in at least chest high water and grasping the edge of the pool, ladder safety rails, or the edge of a low dive board. Bend the knees back. Raise the body out of the water and slowly lower it back. The water will aid in the pull up, similar to an assisted pull up at the gym. No ladder or diving board? You can also do press downs for the lats. Use this movement in the water using the resistance of the water instead of the cable in this image. Stand in water just at shoulder level. Fully extend both arms outward like you would for a straight arm pulldown. Rest your arms and palms of your hands on the water surface. Press downward through the water until your arms are parallel with your body. Keep your palms down and raise the arms back to start. Mimic this movement while standing in the water. Clap the hands together to produce added force. Stand in water just above shoulder level, no higher than neck level. Bring your arms out, palms in, and form a T with your body. With your arms fully extended bring them together in an effort to clap the hands together. Now reverse the move. That is one rep. This movement mimics that of a fly. Mimic this movement, using the water as resistance. Standing in shoulder level water hold your arms at 90 degrees with your forearms extended out and your upper arm tight to your body. With your palms facing up raise your forearms upward until they reach the surface of the water. For triceps, you simply reverse the above exercise. You can either do them as a superset or separate. Standing in shoulder level water hold your arms at 90 degrees with your forearms extended out and your upper arm tight to your body. With your palms facing down lower your forearms until the arms are parallel with the body and your fingers point to the floor of the pool. Standard swimming workouts can also be a huge calorie burner. In one of our previous posts we break down a full cardio workout that can also be performed in the pool. Use both workouts to add some fun diversity to your routine during the hot months of the year.